Minoru Oshima has been an Aikido teacher for over thirty years. As one of Koichi Tohei’s most inspired students and under the tutelage of Koretoshi Maruyama, he first came to the United States in 1974 and taughtfor two years in the Los Angeles area. In 1976 he returned to Japan to further his knowledge of Aikido and associated martial arts. 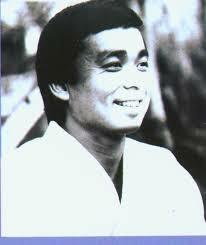 In 1980, he came to Florida where he established Kodokai Aikido. There are several Kodokai dojos in the United States and Japan. Master Oshima has directed an Aikido program for 2,000 correctional officers in the Florida Prison System. The program emphasized the philosophy and techniques of Aikido that could be applied by the officers in the event of a confrontation with prison inmates. He has also directed Police Defensive Tactics Workshops throughout the state of Florida and has been a guest speaker on a variety of topics throughout the United States.